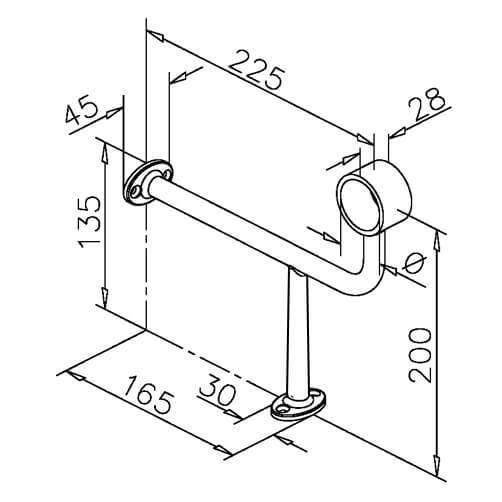 Combination mount foot rail bracket with offset support designed to accept 38.1mm and 50.8mm diameter tube from our bar railing range. 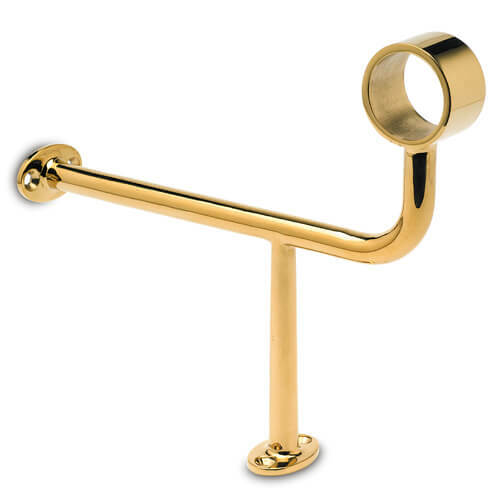 Distinctive offset support foot rail bracket with high polished brass finish. Combination style foot rail brackets are a popular choice, as the bracket is fixed to the floor and bar face offering a secure and strong fixing. Available for both 38.1mm and 50.8mm diameter tube. Four countersunk fixing points for secure attachment. Manufactured from Zamak with a PVD coating to give a hard-wearing brass finish (Not solid brass). 1. Start by marking the fixing position of the foot rail bracket, use a few household tools to secure your offset combination bracket in place with the screws provided (you may wish to use your own screws dependent upon mounting surface). Use a hex head key to release the grub screw situated on the underside of the mount and side your tube in to position. 2. Simply re-tighten the grub screw to secure tube firmly in position. To finish open tube ends neatly you can add a stylish Tube End Cap. Tube with Brass Finish high quality tube for bar rail fittings.